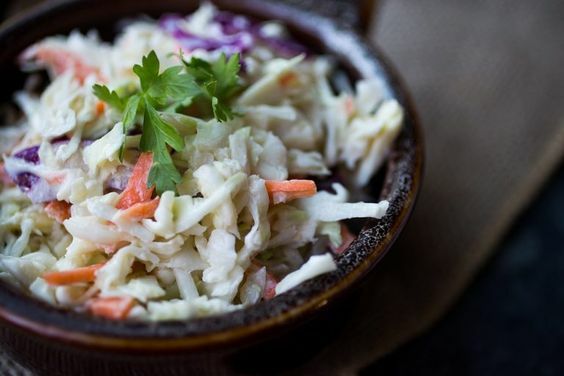 I’ve been meaning to post a Cole Slaw recipe ever since I shared the recipe for my Slow Cooker Pulled Pork. The combination of that pork, my Southern Greens and this Cole Saw… boy oh boy, that, to me, is a perfect meal. Doing a Whole30 this month inspired me to finally create and post a Cole Slaw recipe for everyone. I suppose the benefit to have waited was that not only do I now have a delicious paleo Cole Slaw recipe to share with you all, but it also happens to be Whole30 compliant, with no added sugar! It’s sweetened naturally with pineapple which helps it to pair even more perfectly with my Pulled Pork. 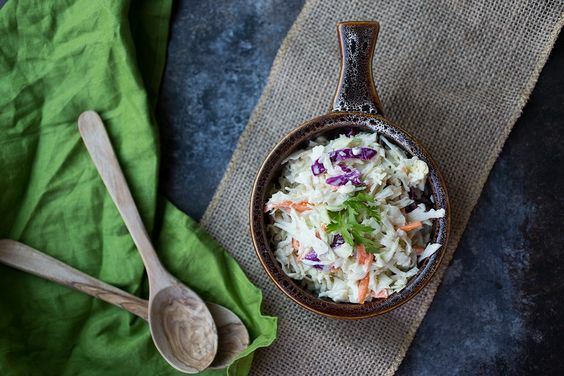 The way to make this dish super easy is to look for a bag of pre-shredded slaw mix. Cabbage, carrots, broccoli, really all of them will do. If you can’t find a pre-shredded mix, you can of course shred it yourself. The easiest way to do that is with a food processor. This one comes with the attachment you need! In a blender, combine pineapple, apple cider vinegar and mayo until well combined. 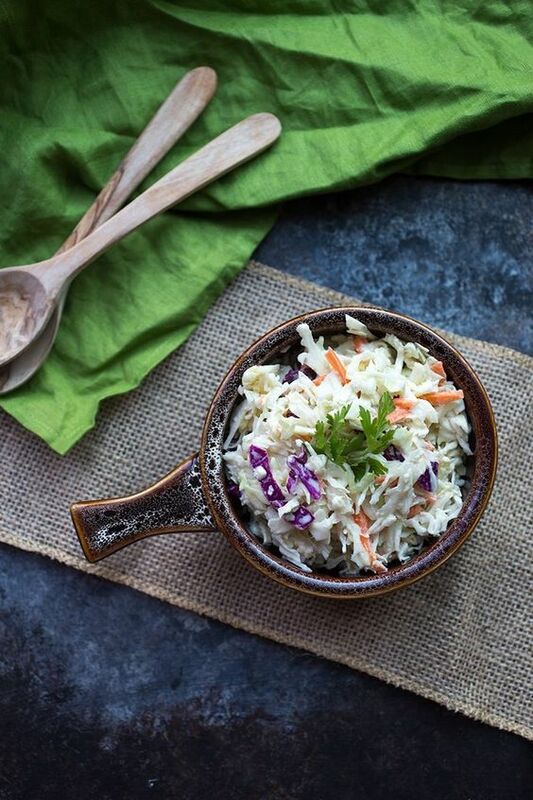 Pour blended dressing over your slaw mix or shredded veggies in a large bowl and mix well. Allow to sit covered in the fridge for 2-3 hours, it will be a lot more flavorful if you wait!